During this same period, the percentage of nuisance and marketing calls to cellphone users has also increased. In an effort to protect consumers from these unwanted calls, the Federal Trade Commission commissioned a Robocall Challenge, in which it offered $50,000 and an award for the development of a tool that would limit these nuisance calls. 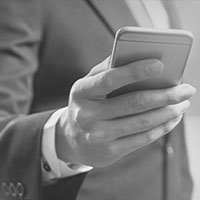 Since then, developers have created dozens of third-party applications that detect and allow cellphone users to report and block unwanted telephone contact. Unfortunately, these applications generally do not discern between marketing or sales calls and polls that Gallup and other organizations conduct. In 2017, the American Association for Public Opinion Research commissioned a report, which Gallup contributed to, called Spam Flagging and Call Blocking and Its Impact on Survey Research. The comprehensive report describes these applications, their impact on survey research efforts and potential solutions. Applications vary, but typically include proprietary algorithms that allow them to identify phone numbers making a high number of outbound calls (such as those from survey organizations), and some offer users the ability to report a number themselves. Some applications automatically block these phone numbers from their users, and others simply display messages on the user's phone, warning that it may be a spam call. In two SSRS studies conducted in December 2017 and January 2018, researchers found that 19% and 14% of their web panel members reported they had recently received a call from an organization that was marked as spam. ** Because of recall difficulty, the actual percentage is likely higher, suggesting that many cellphone users are seeing these spam warnings on a regular basis. In the SSRS studies, researchers found this spam warning effectively deterred respondents from answering the incoming call. Only about one in 10 reported they answered after seeing this message. Many survey research organizations constantly change their telephone numbers to avoid being blocked long-term by these devices. This can be expensive because it requires procurement of new phone numbers. Other potential, more long-term solutions could include the development of a global whitelist, which would include approved phone numbers that are conducting phone calls for research purposes only. However, the organization and agreement required to create such a list make this an unlikely possibility, at least in the immediate future. Over the past two years, Gallup has expended considerable effort to thwart the impact of these applications in its own interviewing centers. Given the relatively large number of outbound calls it makes daily, Gallup opted to more regularly rotate new telephone numbers into its outbound dialing approach. Gallup also uses local-presence dialing, which involves procuring numbers in local areas so that incoming calls appear to originate from the user's area. These changes led to an improvement of 13% to 24% in call center productivity, depending on the project. These gains have made the additional costs associated with changing these phone numbers worthwhile. Telephone surveys remain an effective method for conducting specific types of research in the U.S. In some cases, telephone is the only means researchers have for contacting sample members. In other cases, the survey topic may require telephone administration. Unfortunately, cellphone scamming and blocking applications are unlikely to decline in popularity. Additionally, the consistent increase in the percentage of cellphone-only adults in the U.S. means the total portion of the sample that has access to these applications will also only increase. The current strategies for addressing this issue -- primarily, changing the outgoing number making these calls -- are temporary fixes. Unless system providers take steps to protect research organizations through the development of a universal whitelist or other approach, improvements are unlikely. *The American Association for Public Opinion Research (AAPOR) released response rates from leading survey research firms in its 2015 report, The Future of U.S. General Population Telephone Survey Research.